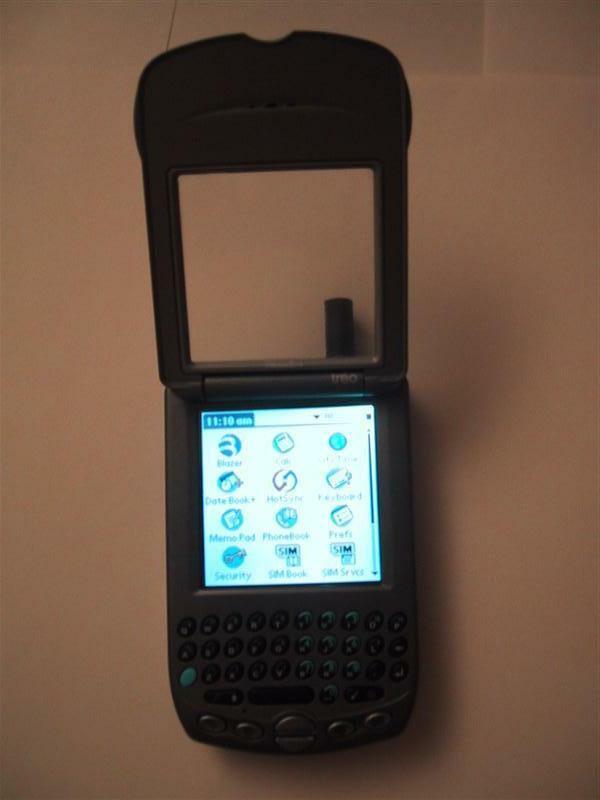 The Treo 270 pleasantly surprised me in its ease of use and simple functionality and the Palm OS was no slouch at deploying its features in full force. Since the OS has been around for years and has often been copied it�s easy to figure out what everything does without resorting to that dreadful thing called a manual. Upon opening the cover you are greeted by ten quick dial buttons any of which could be customized to show the date, time or voicemail and of course quick dial phone numbers. Along the bottom of the screen there are 5 little buttons that allow access to forty additional quick-dial buttons. The PDA functions are easy to access and packs all the usual functions like the calendar, to do list, address book, calculator, web browser, sync software, sms messaging etc. There are no discernable modifications to the PALM OS software package, which is in no way a disappointment. However there are a few new additions, like a very simple yet efficient web browser aptly called Blazer. One nice thing about the browser is upon reopening it, you are returned to the page you were last on, but you could only have one browser window open at any one time. For someone who expects a lot I was pleased with the ability to get the news on the run even though it was mostly hyperlinks and text. The rocker switch makes for quick access to your contacts in the address book. Push it up to scroll up and down to scroll down, once you have located your victim just push the dial in to dial. It also doubles as a mouse wheel allowing you to scroll up and down thought documents, contacts etc quickly and through hyperlinks allowing for almost stylus free browsing. 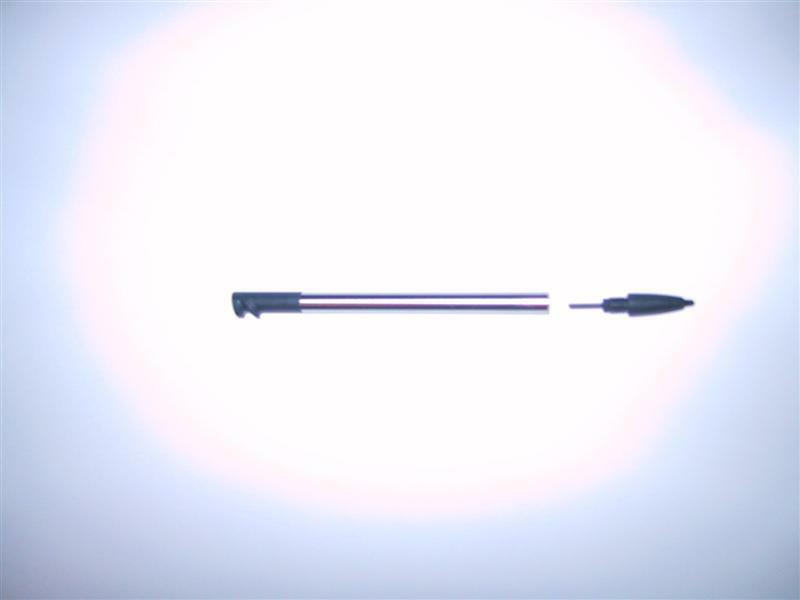 Another cool feature that goes unnoticed is the stylus that separates to provide a useful resetting tool. Yes it�s hardly used but when you do need it, it�s at you fingertip. The best feature for me is the addition of the keyboard, which makes my life a whole lot easier since writing in Graffiti was more of an effort in futility. The thumb keyboard takes some getting used due to the small keys, but it makes for an excellent input device. If you desire there is another model without the keyboard and in its place is the familiar touchpad for you to scrawl on. 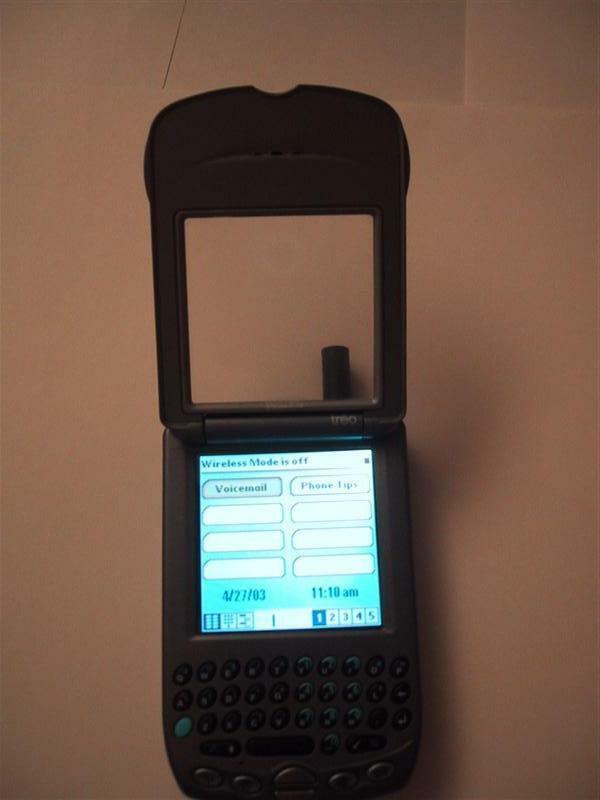 The Treo could connect to almost any POP3 email server and send and retrieve emails with its Treo mail software, the downside however is it requires an annual subscription of $50 for personal use and $100 for corporate users. In perusing through it, I found not only was it very intuitive but extremely straight forward; on a side not it syncs with Lotus Notes R5. SMS messaging is also possible but was turned off on the unit. Syncing the device with the PC is simple and painless. Install the Palm Desktop software, plug in the usb cable, connect the power supply if you desire, attach the Treo and select what you want to sync, finally hit sync. You could transfer you contacts, calendar etc. form Outlook quickly and painlessly, no different from the Handspring Deluxe I had.